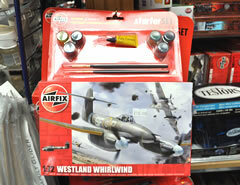 We stock a large range of airfix plastic kits eg planes tanks cars boats figures and militery in all sizes. 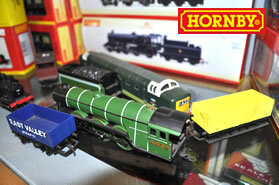 we also have a selection of other makes of kits in stock. humble paints, glue paintbrushes thinners etc are also in stock. 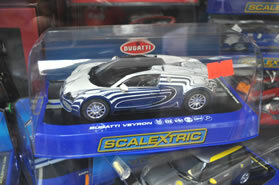 Scalextric cars varying in style and price, track and lots of other accessories are in stock along with scalextric sets. if we do not have what you require we can try and order it for you. A vast selection of buildings, trees, track, people, and lots of other bits and pieces are in stock along with locomotives, and lots of carriages. Train sets and also in stock. If we do not have what you require we can order it for you.